Increase your confidence and excel in your couples therapy skills when working with challenging couples. Shy away from practicing couples therapy because you find it difficult - especially when dealing with hostile couples. Work with couples but lack confidence doing it. Accept limited success, believing that is all that can be achieved. the Developmental Model can make a significant difference in your sessions. “Before I started training in the Developmental Model, I often felt completely overwhelmed when working with couples, especially those who would attack each other in my office. I did not have the skills to contain their conflict and stop the painful reenactments they repeated with each other. Thankfully, I found the Developmental Model of Couples Therapy and my couples therapy work was transformed. Since working with this model for the past 9 years, I have become a passionate, skilled, and well-respected couples therapist and trainer in The Developmental Model. 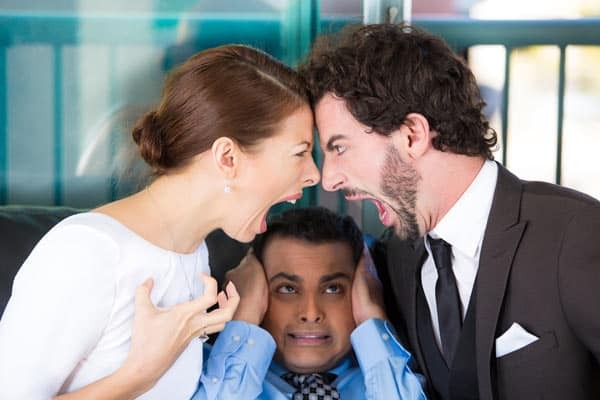 When angry, bitter, and resentful couples start acting out their anger in the therapy room, it can feel like bullets are flying around so fast that it is impossible to stop them. Working with these difficult couples can lead to feelings of incompetency and severely hamper your ability to help them. This fact may surprise you. Conflict-avoidant couples may appear easier to work with because their anger isn’t explicitly expressed. Sometimes it can seem less overwhelming or scary to work with them. You may feel more in control of sessions with the conflict-avoidant couple but still find it difficult to move them forward. These couples typically have a deep investment in hiding or suppressing any intensity. Breaking through their denial is far from easy. “Ellyn's training helped me tremendously. Before I took her course I wanted to see more couples but lacked the skills to work with them effectively. I was intimidated with hostile couples and often didn't realize the problems that my conflict-avoidant couples were not revealing. They just seemed "nice". Thanks to Ellyn's course, I learned how to lead and structure sessions with hostile couples so they can stop hurting each other and make effective changes. I also learned how to help conflict-avoidant couples bring their conflicts to the surface so they can be resolved. Become a confident leader in the therapy room - be effective even with the most conflicted couples. This training will introduce you to the essential knowledge, skills, and tools required for helping couples resolve anger, perhaps saving their relationships. The training offers a framework and methods that will ground you in your work with couples, helping you become a more confident and effective couples therapist. Who Can Benefit From This Couples Therapy Training? Like other experienced therapists who train with us, you might be surprised to find out how much you can improve your skills when dealing with angry and conflict-avoidant clients. If you are new to couples therapy, this training will provide tools and grounding in how to work with anger in couples therapy. You will be grateful to have these tools and skills at your disposal as you gain experience in couples therapy. Deepening your understanding of how partners provoke anger in each other will prevent you, as an individual therapist, from falling into the trap of getting pulled solely into one client’s perspective. This increased awareness will make you a much better individual therapist. 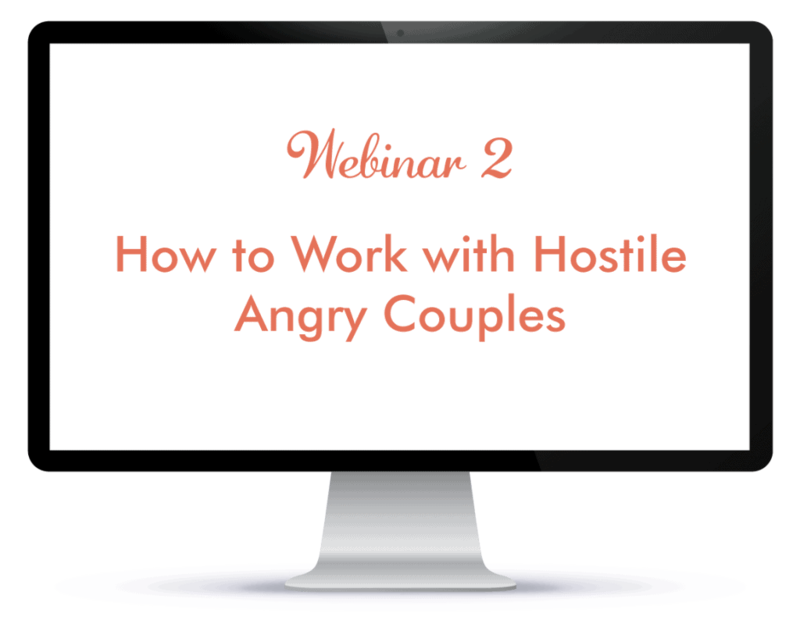 Overcome fears and insecurities about working with hostile or conflict-avoidant couples. Avoid the common traps that couples therapists fall into. Make your couples sessions work for you, instead of against you. Create developmental growth in each partner and avoid having clients who tell their friends and colleagues, “All that therapist did was let us fight”. Manage your own “anger triggers” and establish greater control in the therapy room. Feel confident and proud knowing that you are helping couples resolve anger successfully. Learn the basics of the Developmental Model of Couples Therapy as a systematic framework that enables you to move your couples forward. help the couple grow as individuals. Attachment theory: The developmental model helps couples therapists assess each partner’s attachment pattern, and then provides strategies for helping couples develop a more secure attachment. Differentiation theory: This theory shows couples therapists how to help couples manage their differences and grow as a dyad, so their relationship does not become stagnant or wounding. Neuroscience: The Developmental Model teaches couples therapists to utilize some of the latest findings on the brain and make those easy for their clients to understand and use to help them improve their relationship. Ellyn provides great value for the cost of her courses. She is a skilled and authentic therapist and a great trainer. 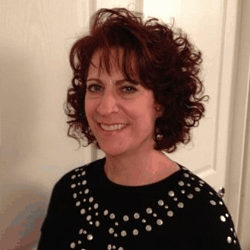 "I find Ellyn's Developmental Model very helpful when working with clients. I really like how she focuses on attachment and differentiation. A lot of couples have poor boundaries, past trauma, past developmental deficits, and blame each other for their problems, etc. Her model identifies these issues and provides a structure for working with them right from the first session. I use her Initiator-Inquirer exercise regularly with couples and find it hugely helpful. It is deeper and more sophisticated than most other listening exercises I have used with couples. Ellyn provides great value for the cost of her courses. 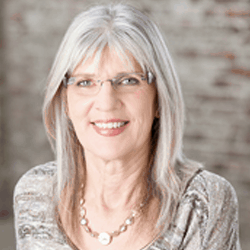 She is a skilled and authentic therapist and a great trainer." 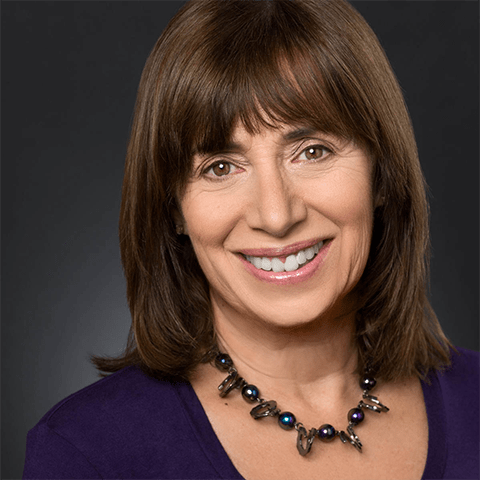 Ellyn Bader, co-founder of the Developmental Model, is internationally recognized as a leader in couples therapy training. 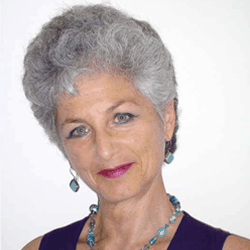 Ellyn has trained thousands of couples therapists across North America, Australia, Europe and South America. She is also the author of 2 successful books. Ellyn’s textbook, In Quest of the Mythical Mate, is now in its 18th printing. It has been used in graduate schools in the US and Canada since 1988. It won the Clark Vincent Award from the California Association of Marriage & Family Therapists for its outstanding contribution to the field of marital therapy. 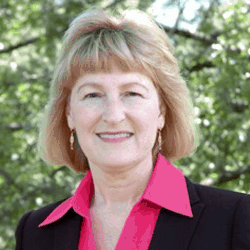 Ellyn and her husband Dr. Peter Pearson have successfully been practicing couples therapy for over 30 years. 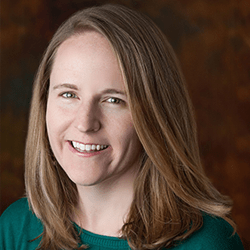 Ellyn and her husband have 10 Developmental Model therapists who work with them throughout the San Francisco Bay Area. In 2016, their office in Menlo Park was recognized as one of the top Psychology practices in the area. Ellyn is a therapist who practices what she preaches. 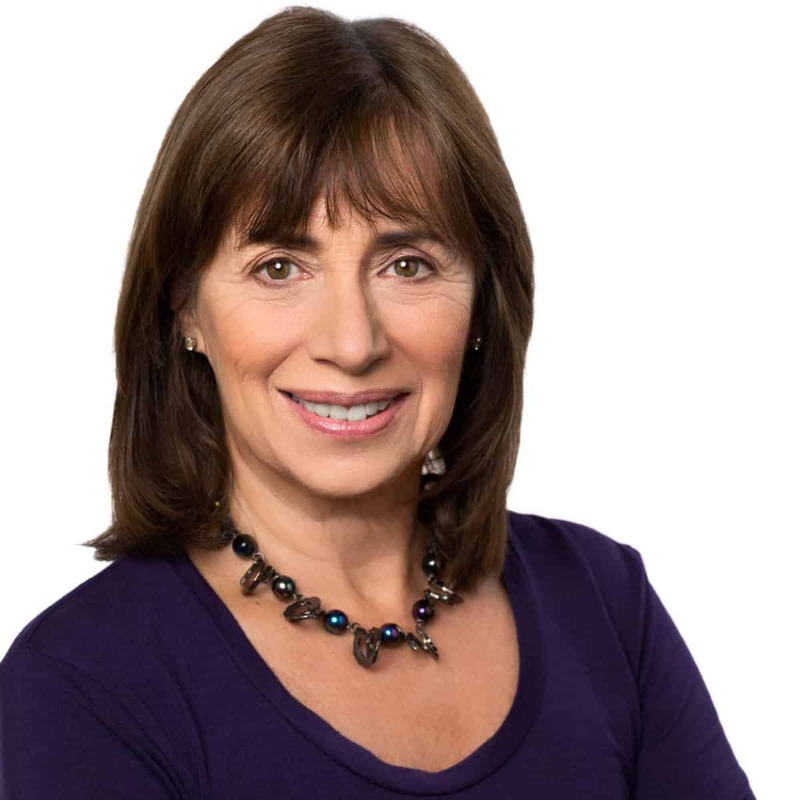 She has been married to couples therapist and co-founder of The Couples Institute Dr. Peter Pearson for 34 years. Ellyn and Peter have built a strong marriage by applying the principles of the Developmental Model to their relationship. The developmental stages of couples relationships and how to use them to facilitate growth in couples therapy. The definition of differentiation and why it matters in healing troubled relationships. A 5-minute diagnostic exercise for assessing the developmental stage of any couple. Six criteria to help you choose what to say and when to say it, so your interventions are targeted to each partner. Recognize and confront five untenable behaviors used by angry partners and get their commitment to stop using these damaging behaviors. Use a 3-step process to help partners set goals for themselves rather than insist that their partners change. Learn ten principles for managing your sessions with fighting couples. Develop a structured treatment plan to contain the couple’s hostility, push development, and facilitate enduring improvements. Use the Initiator-Inquirer Process to promote differentiation and build compassion and empathy within the couple. 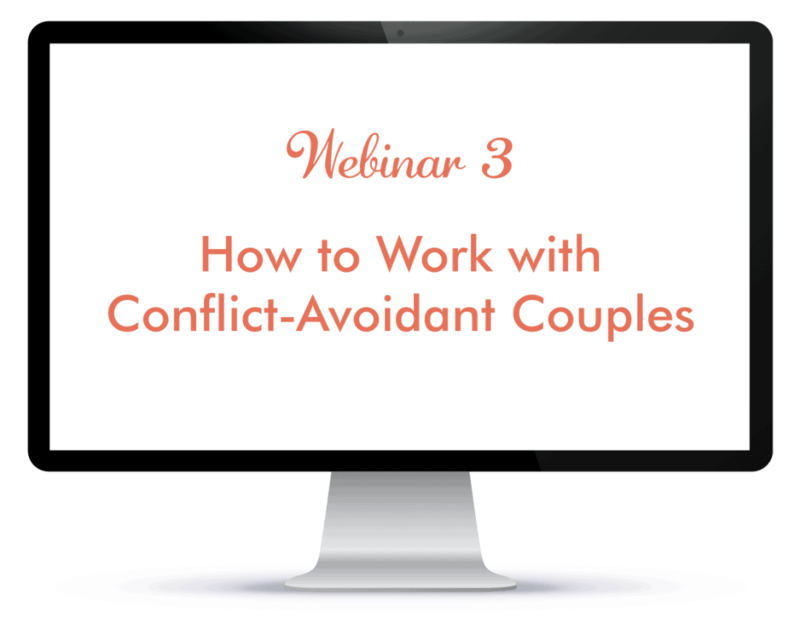 Common presenting problems of conflict-avoidant couples and how to deal with them. How to recognize the two types of conflict-avoidant couples and why one type can be difficult to identify. The essential core principles of treatment for helping avoidant couples. Key traits that you need to cultivate within yourself to be successful with conflict-avoidant couples. You’ll get three handouts that will help you in your work with couples: a demonstration of the Initiator-Inquirer process, a communication exercise to do with couples, and a document on the developmental stages of couples. You can watch the webinars via video streaming on our site at your convenience. 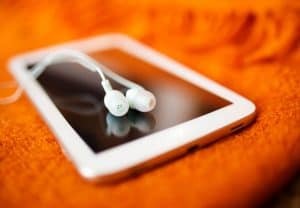 You can also download the videos and audios and keep them forever. If you ever want a quick reminder of what was covered in each webinar, all you need to do is take a quick look at the slides. This audio is with couples therapist and husband of Dr. Bader, Dr. Peter Pearson. 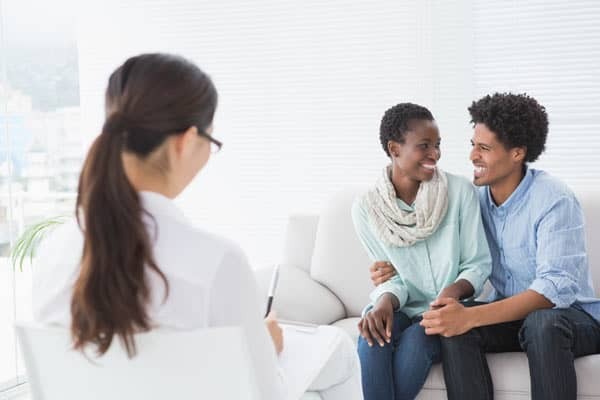 You’ll learn common mistakes couples therapists make when asking questions in first sessions and how to ask the right questions to facilitate relief in the couple and set them up for future growth. This audio is with couples therapist and husband of Dr. Bader, Dr. Peter Pearson. This call will transform your work and attitude about treating passive aggressive spouses in couples therapy. You now get what was once thought to be practically impossible—creating teamwork for a couple with a passive-aggressive partner. This new teamwork approach creates almost immediate self-accountability for change and gets you out of their civil wars. 2 Handouts on Working with Passive Aggressive Clients. The first handout is an article describing the dynamics of the passive aggressive person and their spouse. In other words, before the call even begins, this article will explain how you can help the spouse disentangle from the dynamic of their passive aggressive partner. The second handout is a checklist of traits for more rapid identification of passive aggressive clients, to alleviate that crazy feeling you might have when working with them. “Before taking this course, I was frustrated to see how the attachment and differentiation models were often pitted against each other. Finally, I discovered Bader and Pearson’s work at The Couples Institute. It seemed like a comprehensive approach, and I knew I wanted to commit to being trained in the Developmental Model. Sign up today for "Introduction to the Developmental Model." If you want this high-value, confidence-boosting, skill-sharpening couples training, sign up now. **Note, we are not offering a certificate of completion or continuing education credits for this course. 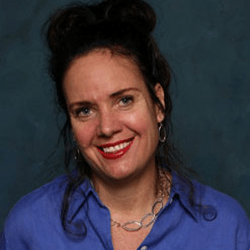 "I have benefited enormously from Ellyn's online training - It has helped me become more confident and competent in applying the Developmental Model in my practice. Her integration of four theories gave me a much clearer understanding of what I need to do to be an effective couples therapist with an angry couple or a hostile partner in a couple. I have trained in 7 different couples therapy approaches, and one of the distinguishing traits of the Developmental Model is that it is very user-friendly and comprehensive, while providing a flexible, overarching framework. The model also has useful tools/handouts for both therapist and clients, something which is lacking in some of the other models I've trained in. Ellyn has done an excellent job of integrating neuroscience, developmental theory, differentiation theory, and attachment theory. I highly recommend her training."